If you’re looking to fill out your arms, you obviously can’t neglect your triceps – they make up about 2/3 of your upper arm. We get it – biceps are the showcase muscle. But in order to build perfectly sculpted arms, you have to give equal time to your triceps. The triceps brachii is composed of three heads – the lateral, medial and long head. The primary function of the triceps is to straighten the arm and extend the elbow, while the secondary function is abduction. The lateral head of the triceps is located on the outer side of the humerus bone (the long bone in the upper arm). The medial head is in the middle back portion of the upper arm while the long head, the largest part of the triceps, run along the back of the arm. In addition to being the largest portion of the triceps, the long head supports many upper body moves. 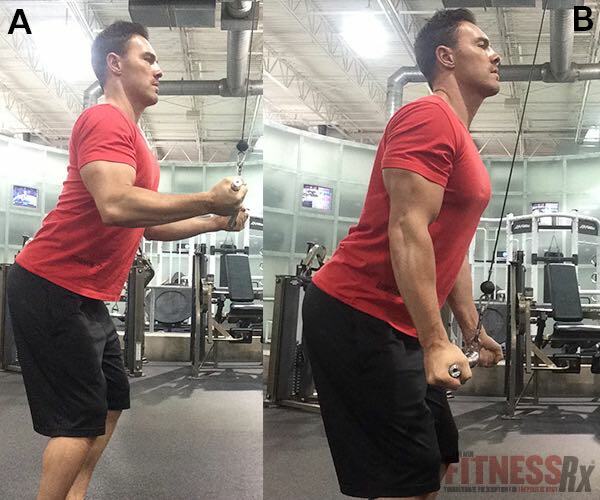 In order to effectively build mass, you need triceps workouts that utilize the function and movement of the muscles. Like all muscles, the best way to train triceps is with compound exercises. The goal is to activate as many muscle fibers as possible in order to increase size and strength. A study sponsored by the American Council on Exercise (ACE) headed by John Porcari, Ph.D., and Brittany Boehler, B.S., reviewed the top eight most popular triceps exercises. The purpose of the study was to determine the efficacy of these exercises. During the study, two sets of electromyographic (EMG) electrodes were applied to the long and lateral heads of the subjects’ triceps. As shown below, the results determined that the tricep push-up displayed the greatest muscle activity. The following workout utilizes the top three exercises listed above, with the addition of Reverse Grip Triceps Pressdowns performed with a bar or rope attachment, and Weighted Dips to increase the intensity of that exercise. • The combination of these exercises is extremely effective because they cover all three heads to increase muscle activity and maximize gains. 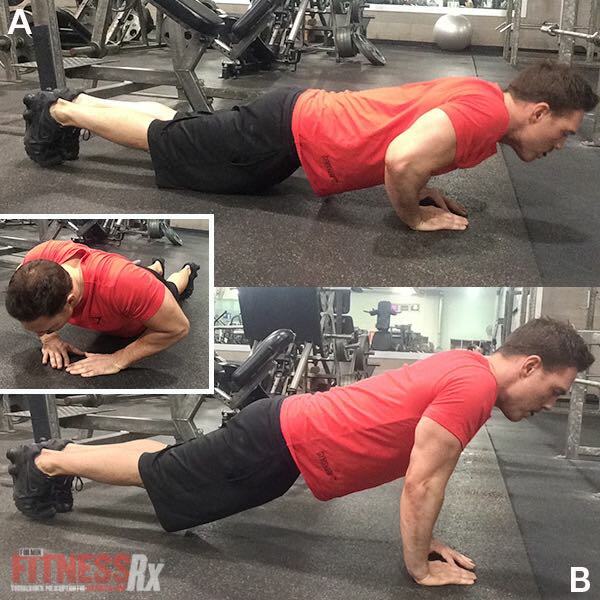 • The narrow hand placement of the Close Grip Push-Ups target the three components of the triceps as well as the chest and shoulders. 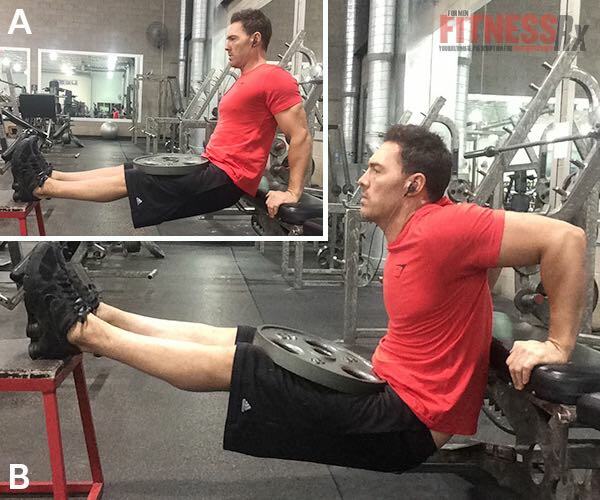 • For Weighted Dips, the secret to great results is form and technique. 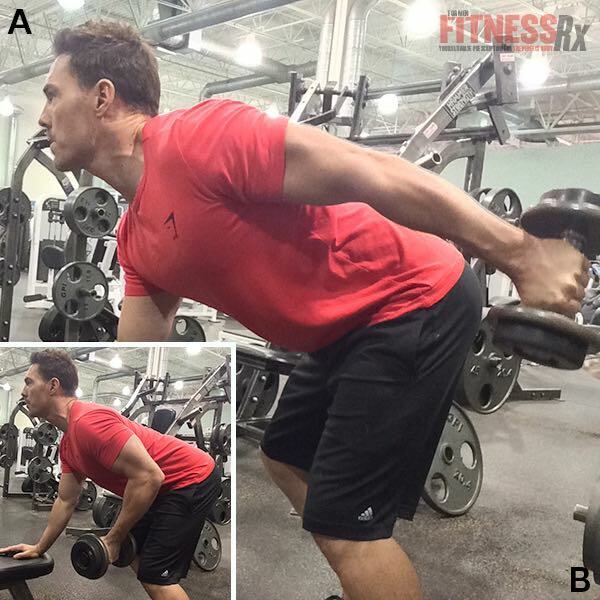 Make sure to narrow your grip to place the emphasis of each rep directly on the triceps. A wider grip will place more emphasis on the chest muscles. • Reverse Grip Triceps Pressdowns target the medial head of the triceps. • Kickbacks are a great isolation exercise and can be performed with dumbbells, a low pulley handle or a rope attachment. To execute this move correctly, keep your back straight as you bend forward at the waist and keep your knees slightly bent. Keep your head up to create a 90-degree angle with your forearm and upper during the exercise. Brian Rellihan is a physique athlete and personal trainer in Phoenix, AZ. He has a B.A. in Biomedical Science and is currently pursuing a medical degree. As an avid reader and fan of the sport Brian not only stays abreast of recent advancements in exercise physiology but applies them to his own workouts and delivers them to his readers and clients. Currently he has teamed up with Fierce Workouts to bring his training to the masses so be ready this summer!